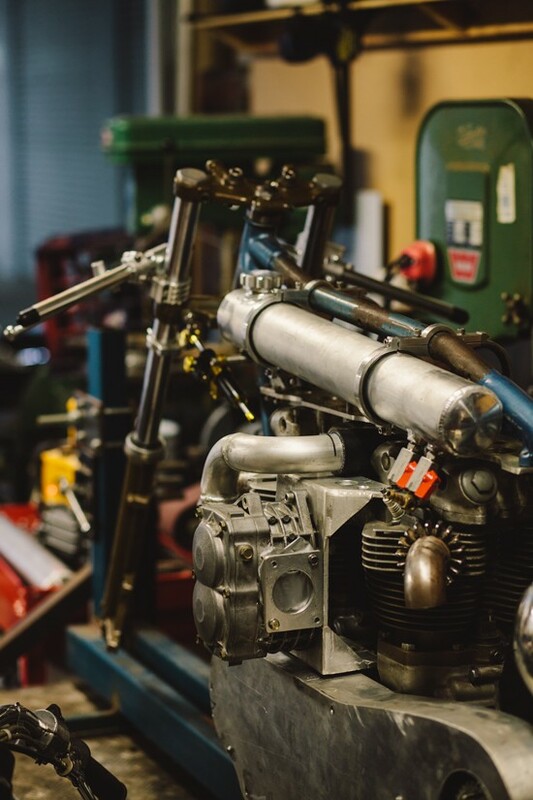 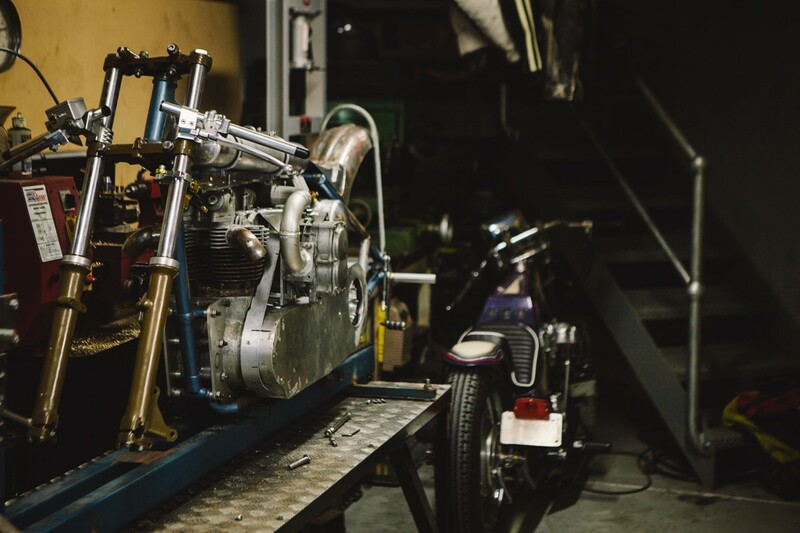 A supercharged Triumph street tracker, a twin-engine Triumph drag bike and a proper ‘70’s style CB750 digger. 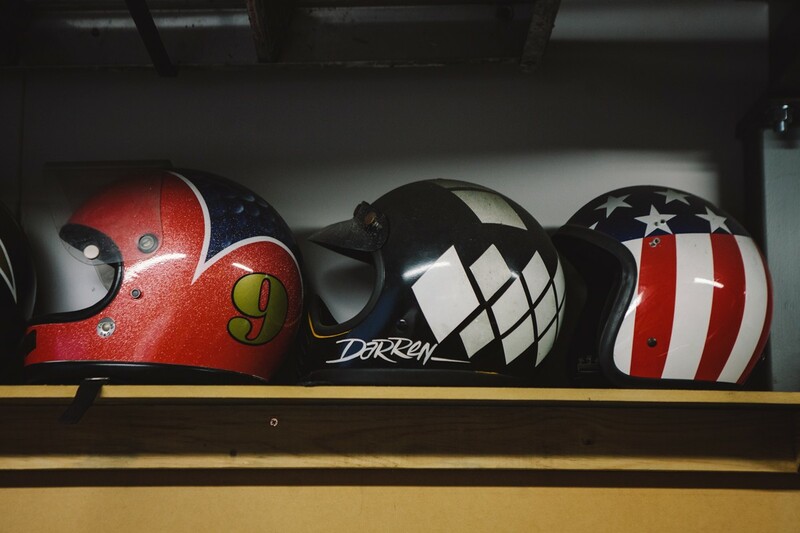 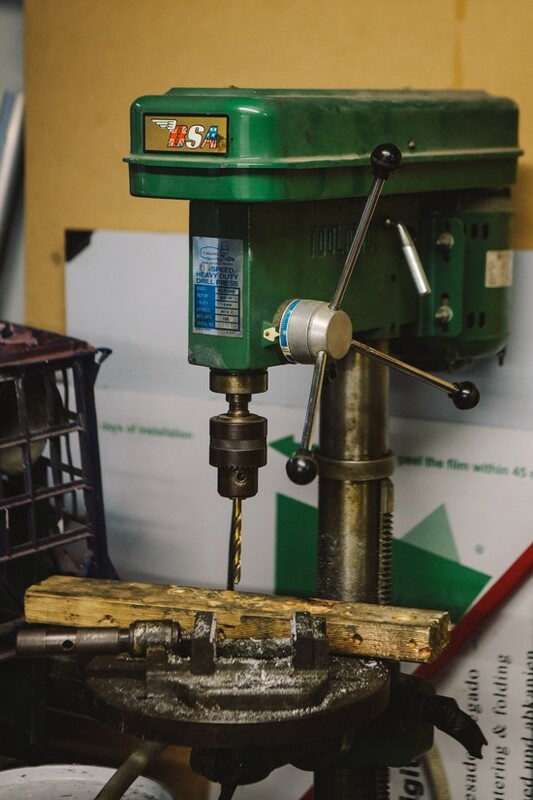 These are Darren’s machines, and they certainly aren’t the type you’ll see all too often. 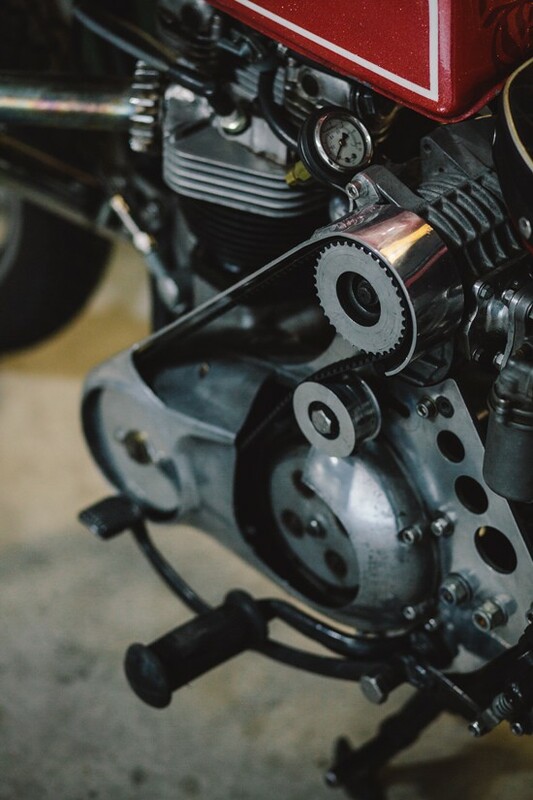 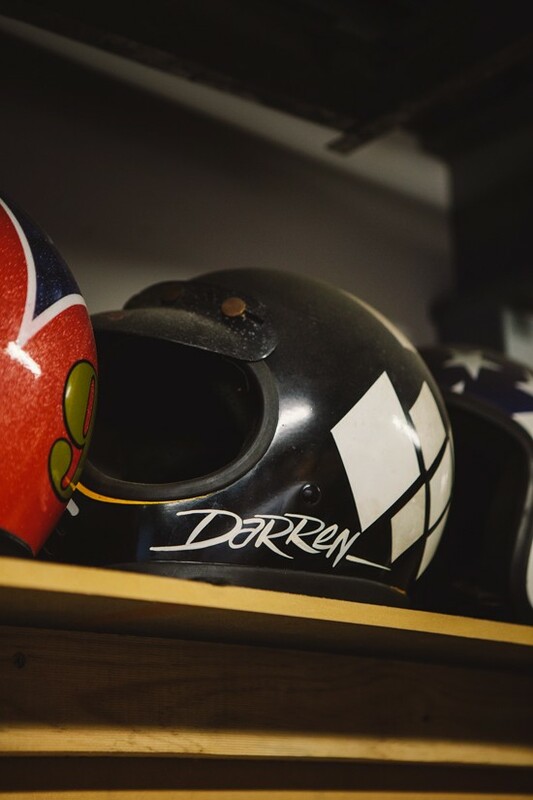 Darren’s been into bikes since he was 8, after his dad bought both him and his brother their first wheels – a 1971 Honda XR75 and Elsinore MR50 respectively. 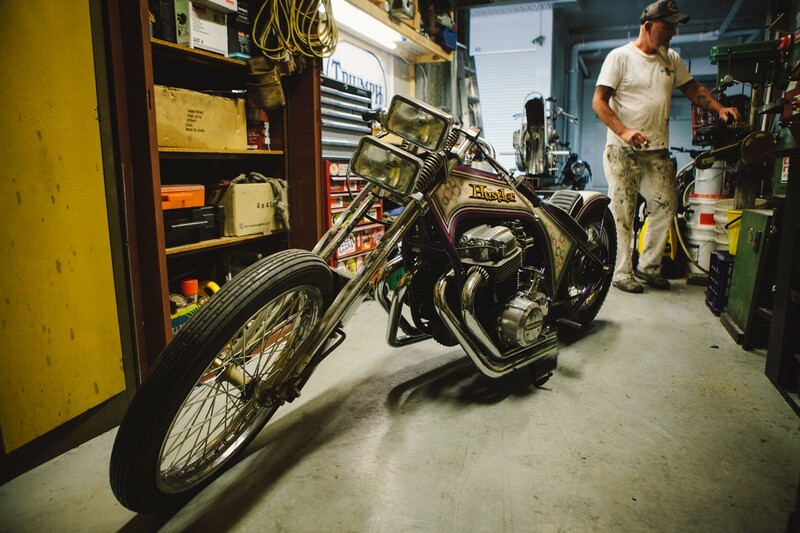 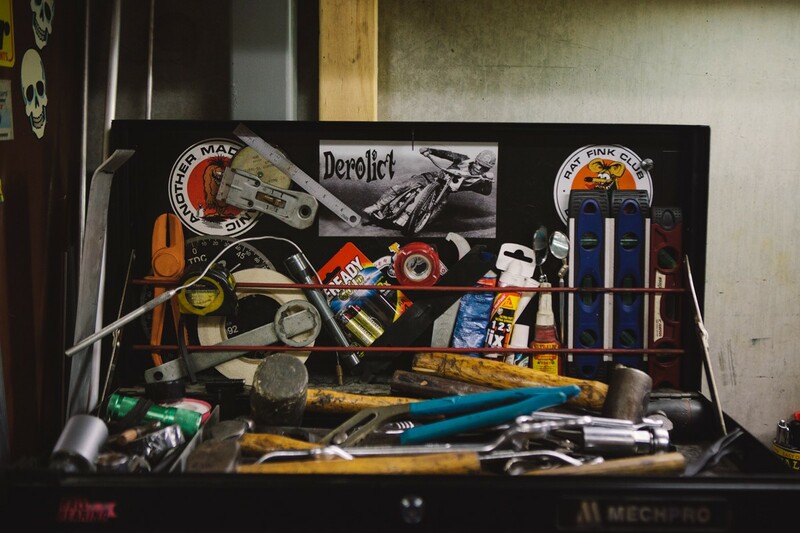 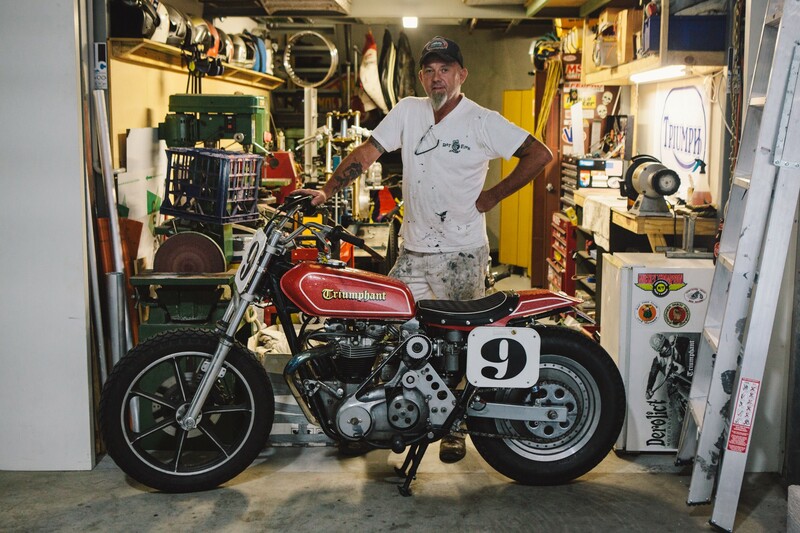 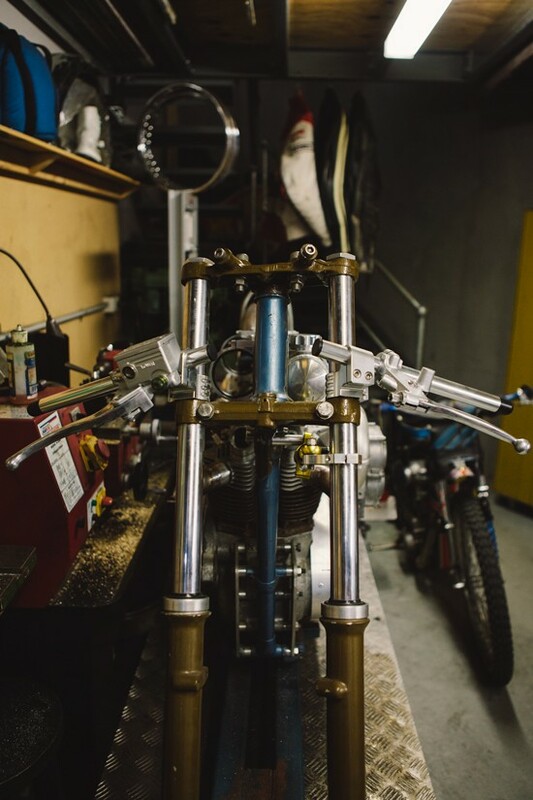 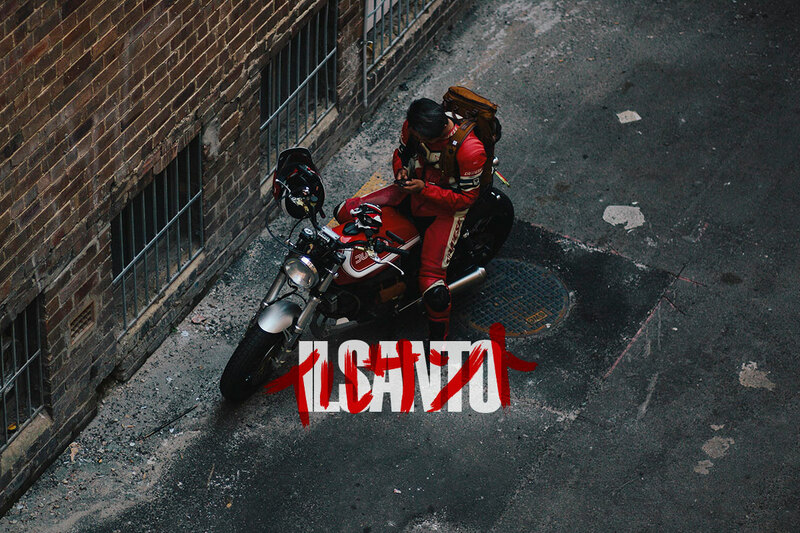 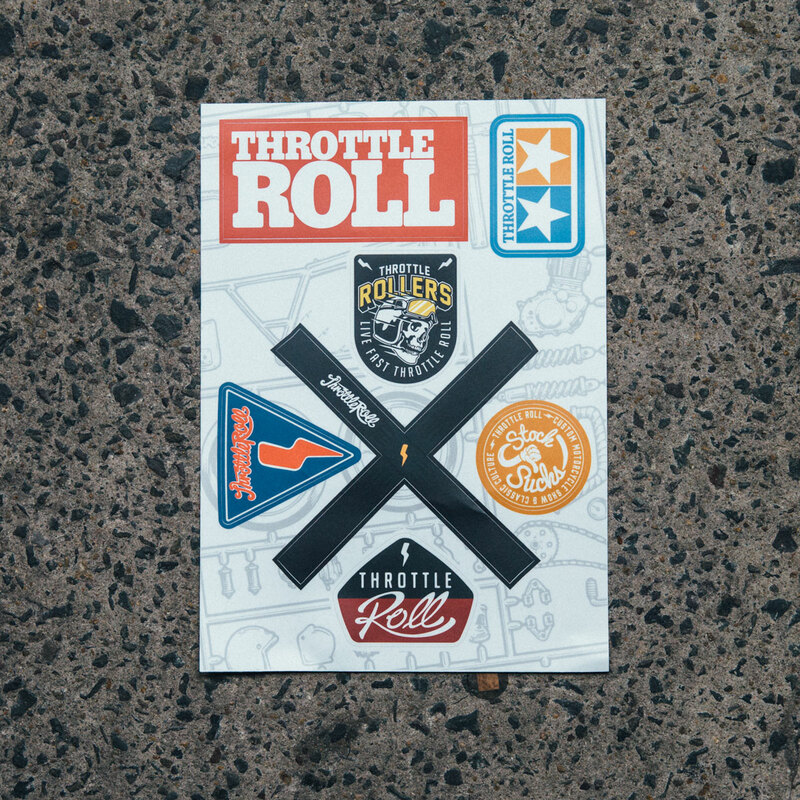 From here, he’s been riding, building and modifying just about everything. 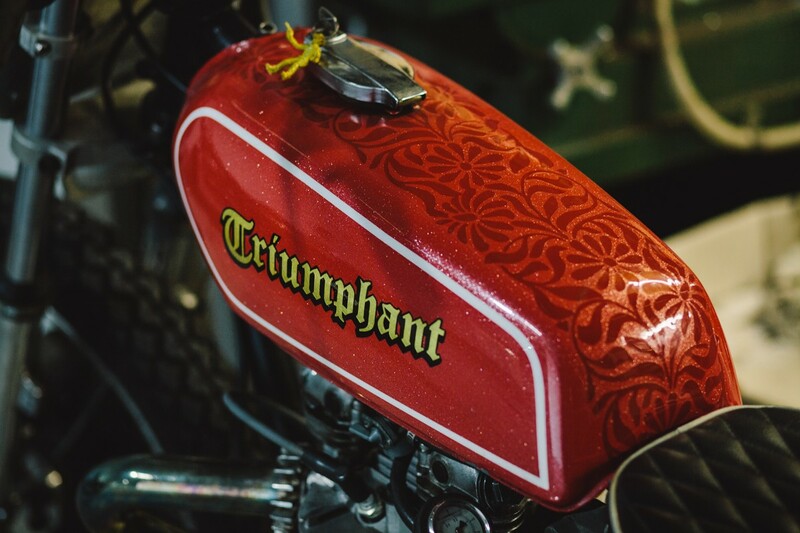 One of the standouts in this space is the ‘Triumphant’ supercharged 1964 street tracker. 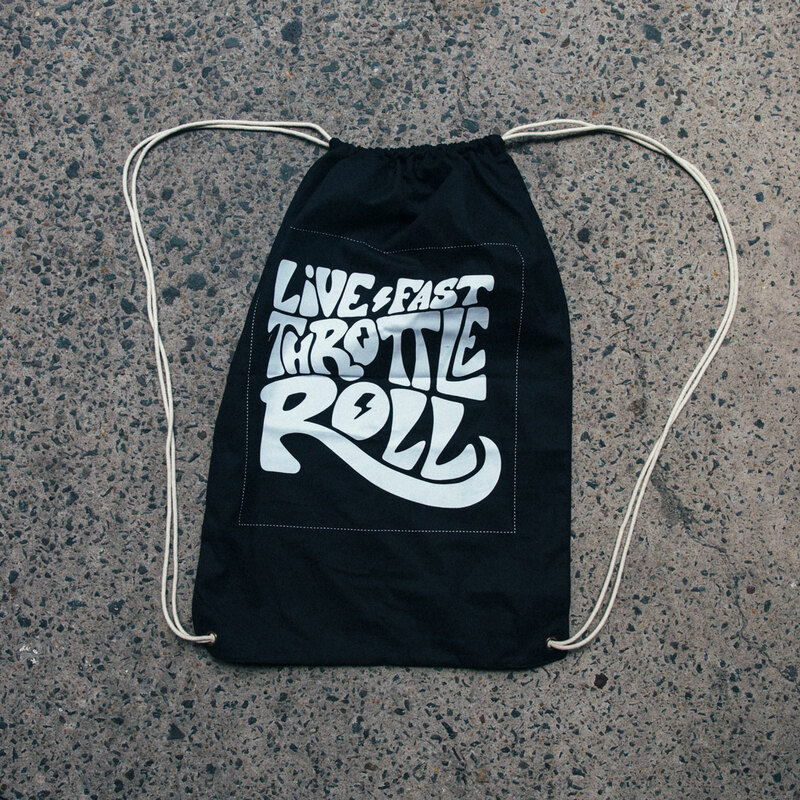 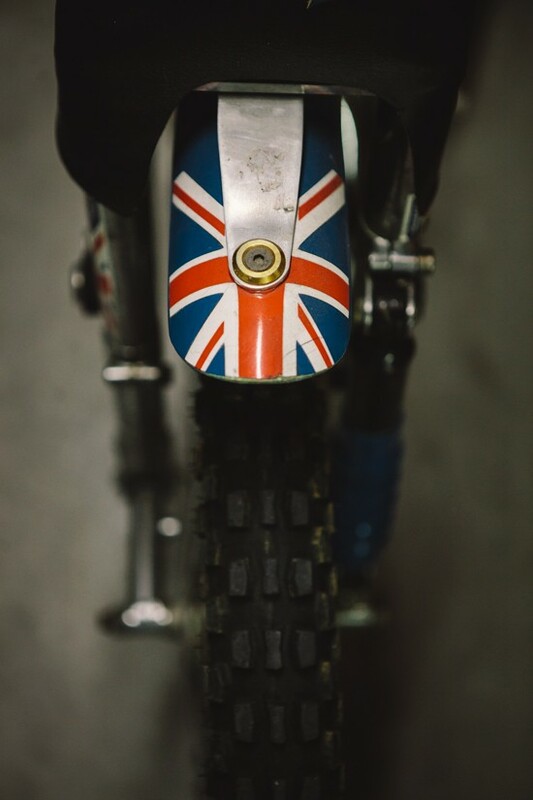 The bike is a tribute to the legendary rider Gary Nixon, who the number ‘9’ belonged to. 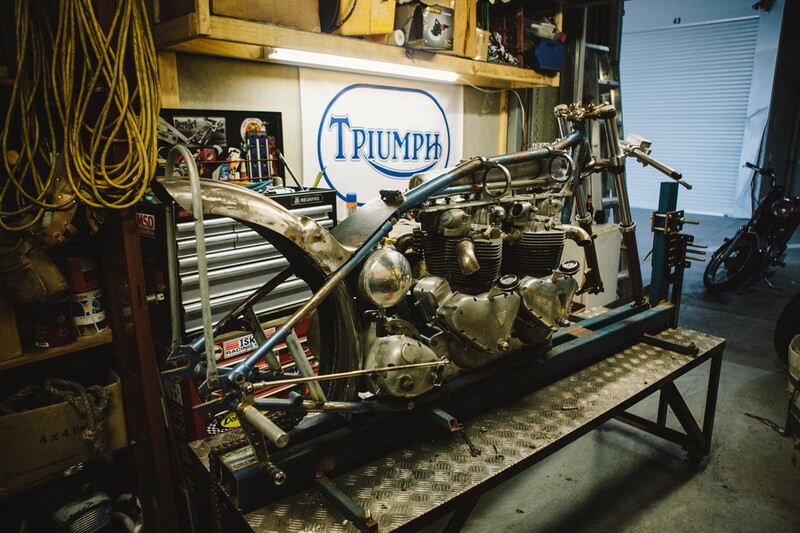 Starting life out as a Triumph chopper, Darren tore the bike down for it to be rebuilt into something new. 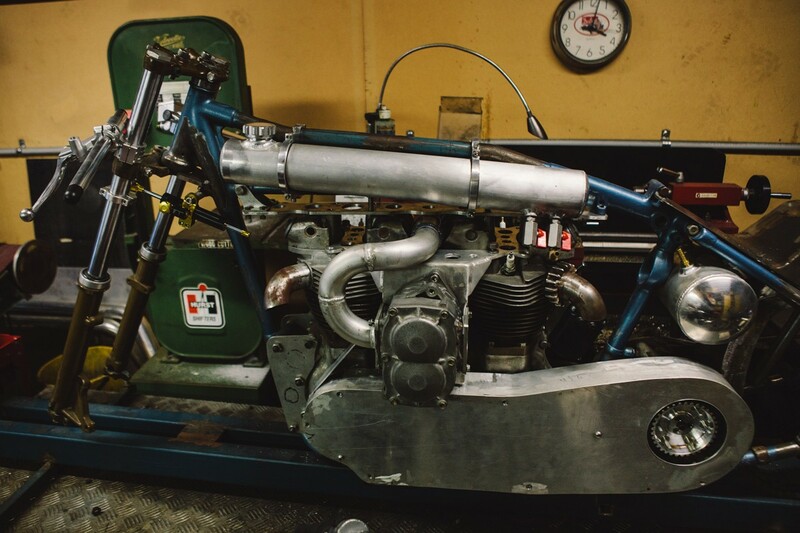 From here, things got exciting as the modifications evolved to the point of adding a supercharger which was transplanted from a Subaru engine. 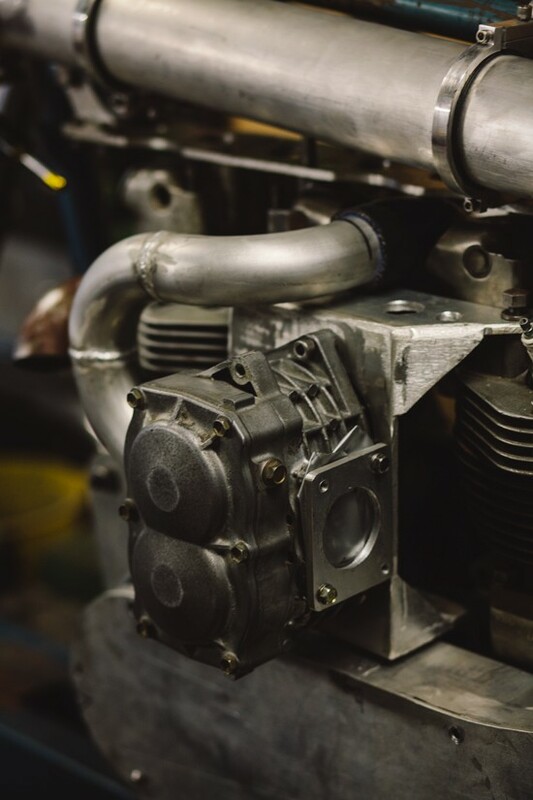 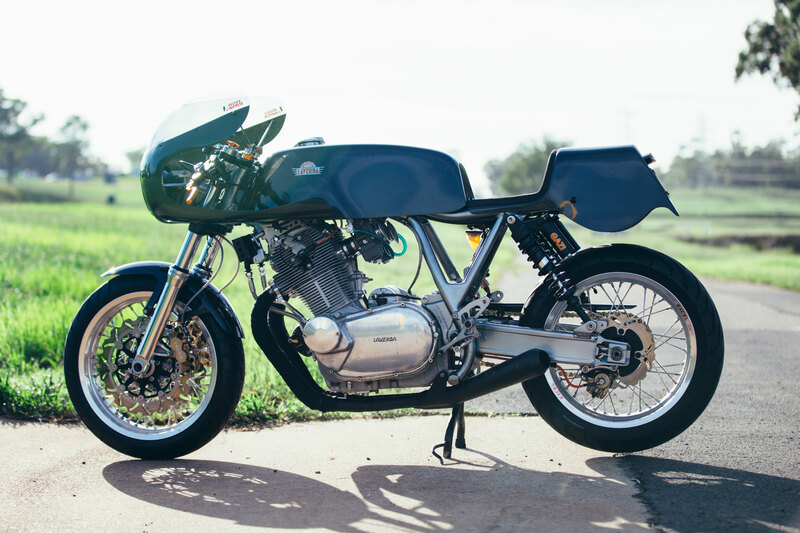 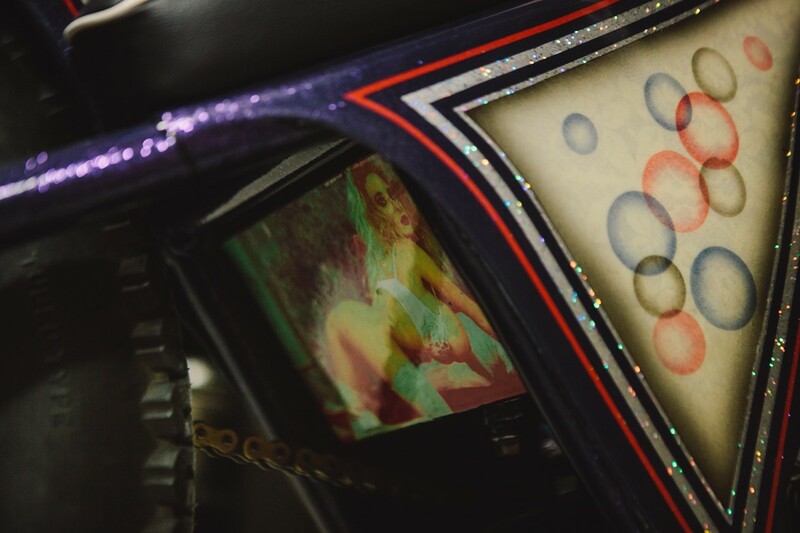 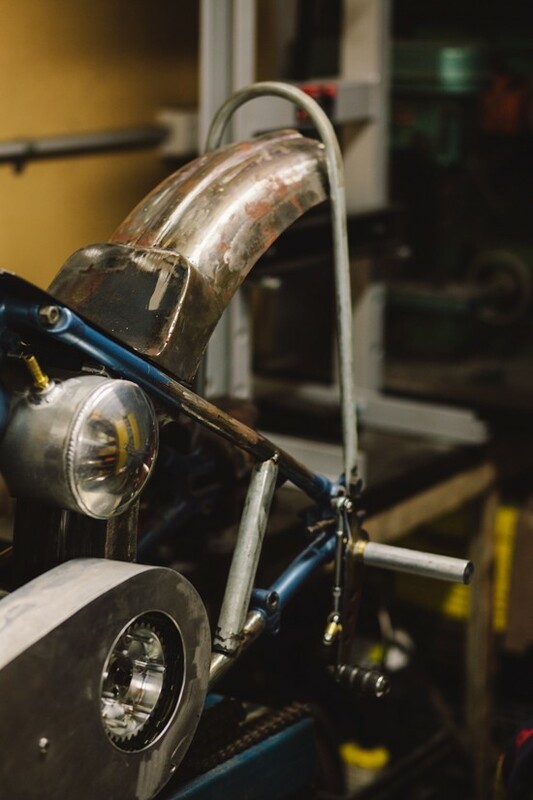 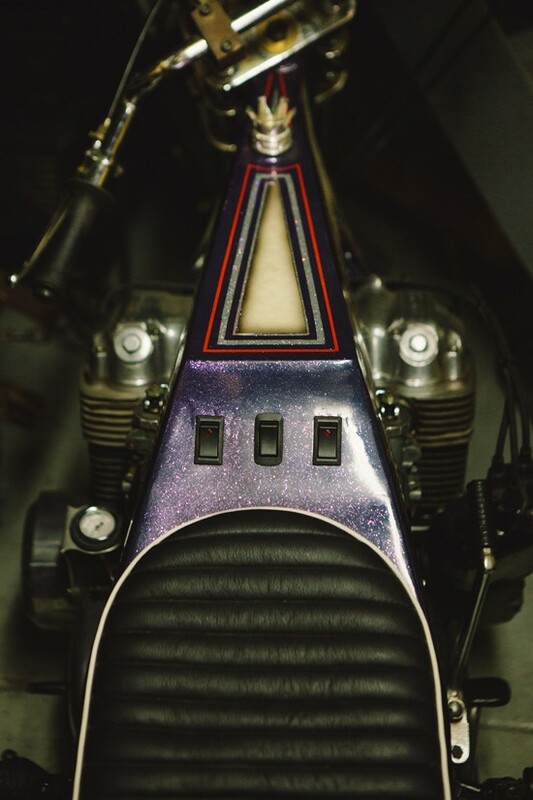 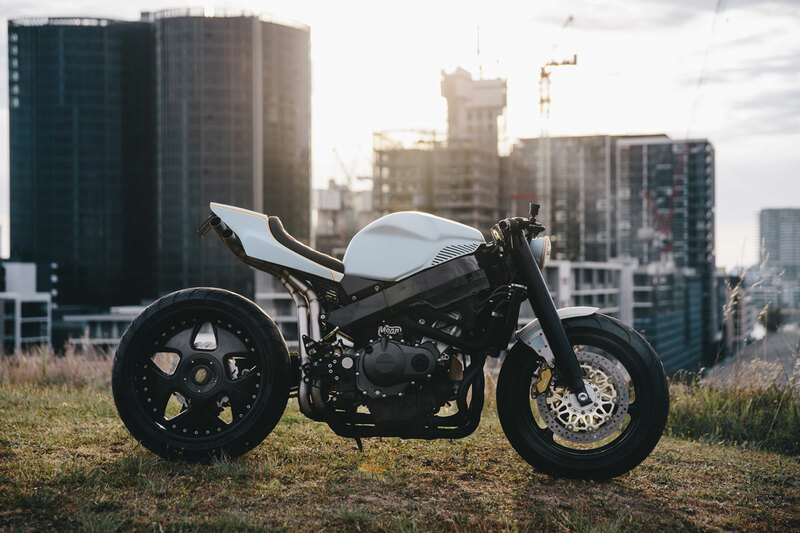 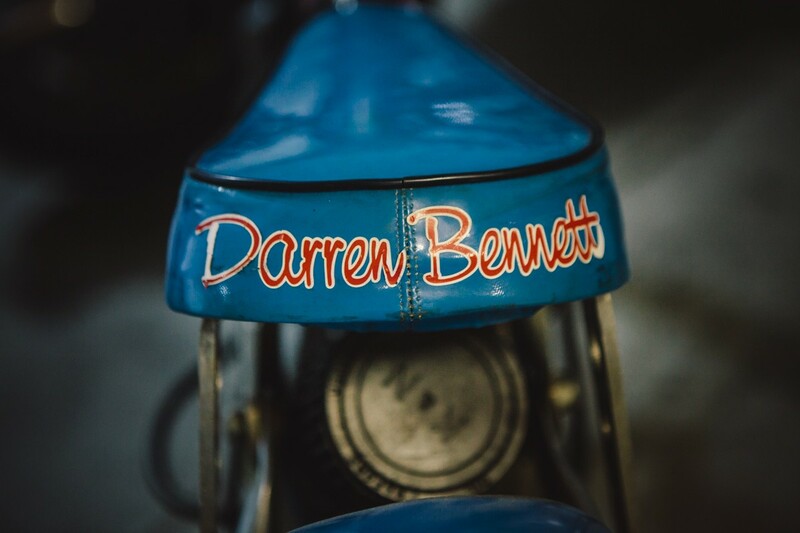 Just about every inch of detail on these bikes were done by Darren, fabricating the parts, painting the tanks, the sign writing – everything. 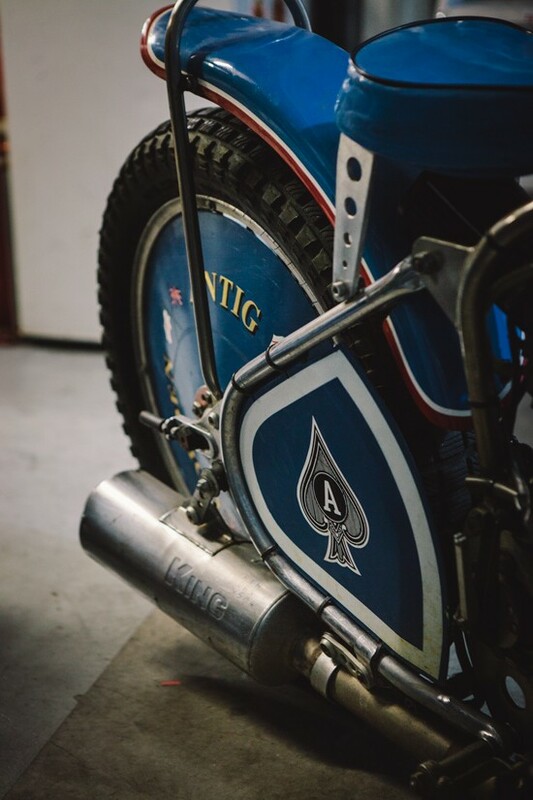 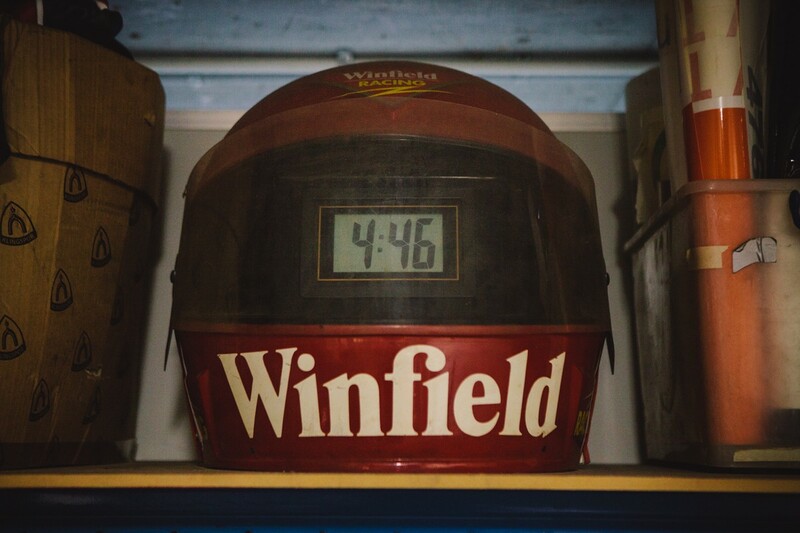 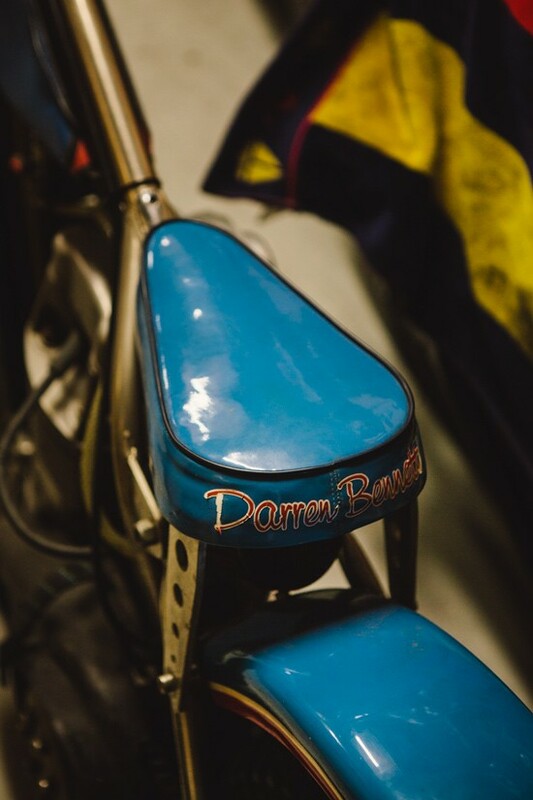 A fan of being sideways, Darren’s 1979 Godden Speedway bike is a thing of beauty, complete with his name emblazoned on the seat.